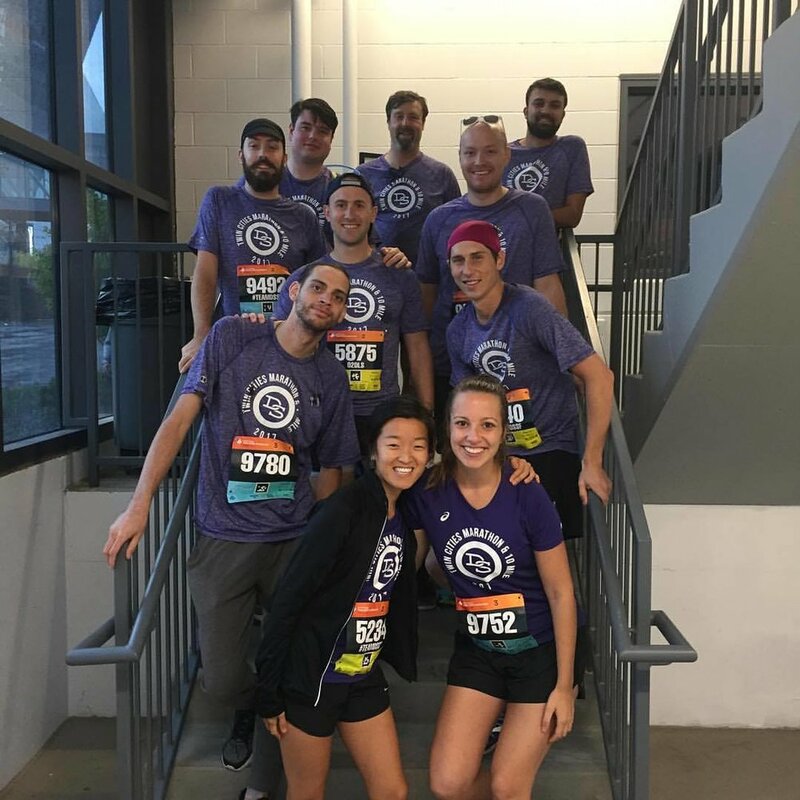 When we set out to organize a team to run the Twin Cities Marathon we didn't know what to expect. This was the first time that the foundation was undertaking a fundraising effort outside of our annual program and, just like many first journeys in life, we were making this up as we went along. We got a lot of input from others who had fundraised through running before and other groups who were veterans in this space. Ultimately, what got us over the finish line successfully was the help of an incredible number of friends, family, volunteers, and supporters from all over the country. We've said this many times before, but it's just so fantastically consistent and true; we would never be able to do any of what we are doing today without all of you. We set a lot of tough goals for ourselves going into training for a 10-Mile and Marathon effort. One of our most important goals for this was to expand the reach of DSSF to networks of people who have not engaged with our foundation. We know that there are many people who have been impacted by the Saint Paul Central High School community that want to contribute towards the continued success of Central High graduates, but they may not be within our program's reach. 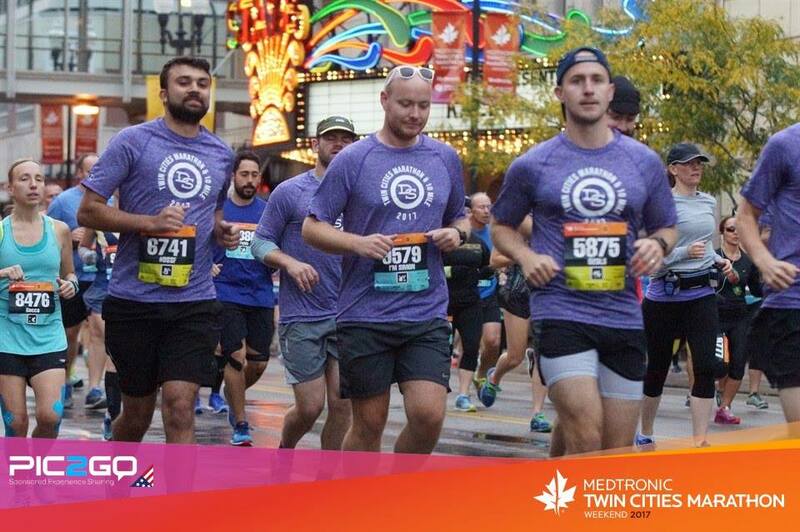 Running the Twin Cities 10-Mile and Marathon was a way to encourage each runner to be a beacon for our foundation's mission within their network. 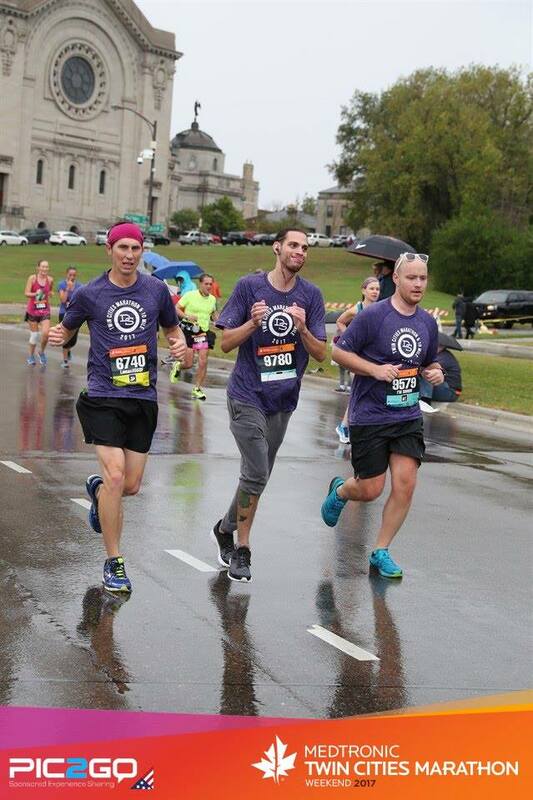 When the first member of #teamDSSF crossed the 10 Mile start line at 7:00am on Sunday, October 1st we had raised nearly $16,000 from 123 donors! For us, meeting people who don't know about the foundation is an incredible opportunity to communicate our mission to someone who might become a beacon for DSSF within their network. We had the chance to do this repeatedly during this effort and we are thankful for each interaction we had that spreads our mission. These interactions cannot be measured or quantified, but we believe that they are invaluable. This being our first year undertaking this effort, we knew no matter how much money we raised it would be a record. Even so, when we set our goal at $7,500 we truly thought that this goal was tough, but attainable, and that's what we wanted. We simply did not expect to double this goal and raise the money we did. 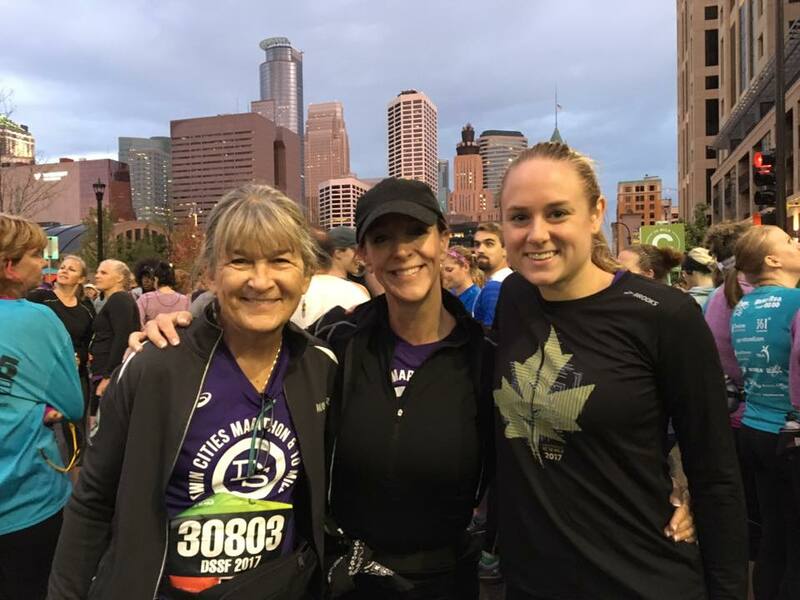 When the first member of #teamDSSF crossed the 10 Mile start line at 7:00am on Sunday, October 1st we had raised nearly $16,000 from 123 donors! From everyone at DSSF, we want to thank everyone who donated and supported to make this the most successful #teamDSSF run ever! Remember, it's a personal record even if it's your first time! Our fundraising record is not alone as the most remarkable records that were set on Sunday, October 1st. There were many marathon and 10 mile runners who all set personal records on race day. For many of us it was the first marathon or 10 mile ever run, setting a personal best for time and distance. For many of us, it was beating a previous best. 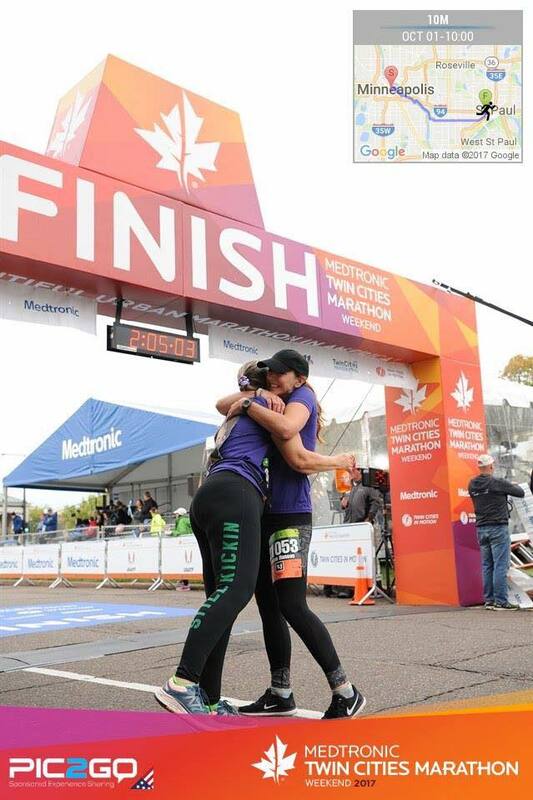 We want to specifically recognize two of the #teamDSSF runners. 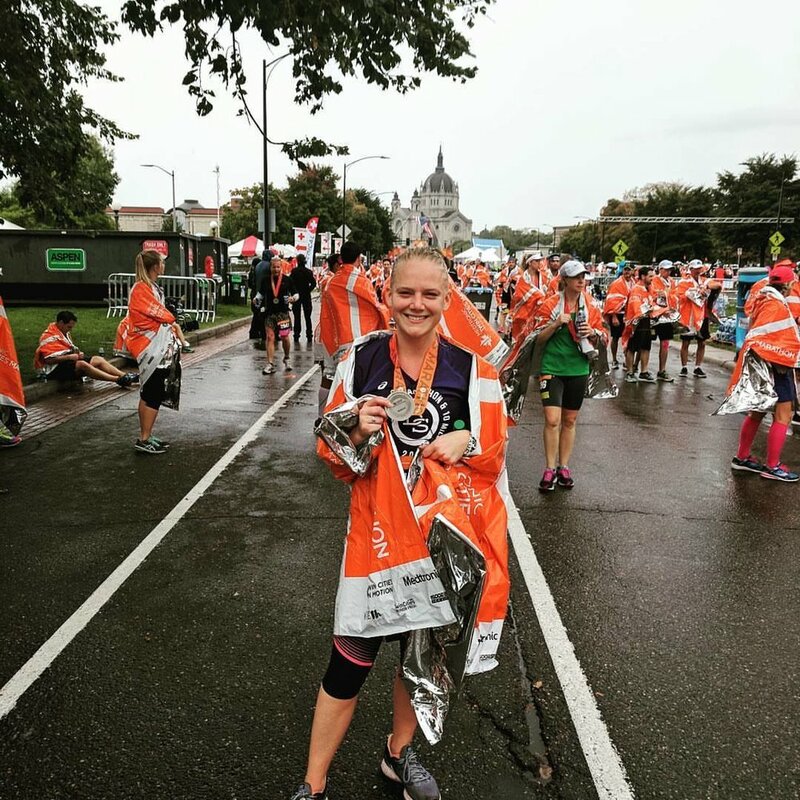 Chelsea Willett, a 2007 Central High graduate, completed the marathon in 3:34:16 which is within the Boston Qualifying time! Congratulations to Chelsea! 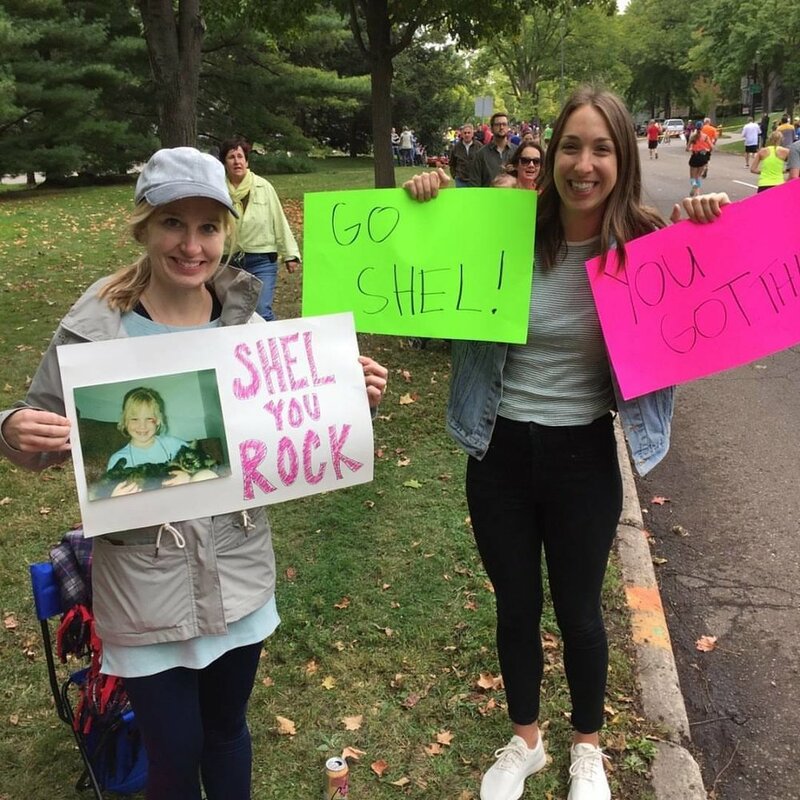 Shelby Rhodes, a 2006 Central High graduate, completed the marathon in 4:10:57, a personal record, and shortly after got engaged! Congratulations to Shelby! Ali Lauer - Personal Record! Mary Bolkcom - Personal Record! Jenne Wiedemeier - Personal Record! Kristi Fielder - Personal Record! Kari Hohn - Personal Record! Chelsea Willett - Personal Record! Simon Morgan - Personal Record! James Granse - 1st Marathon! Shelby Rhodes - Personal Record! Jacqueline Smith - 1st Marathon! Kye Castillo - 1st Marathon! 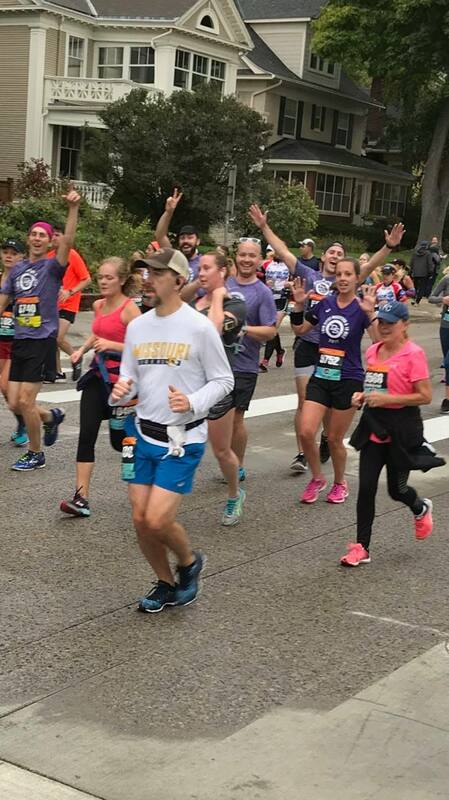 Neal Wehrwein - 1st Marathon! Peter Schumann - 1st Marathon! 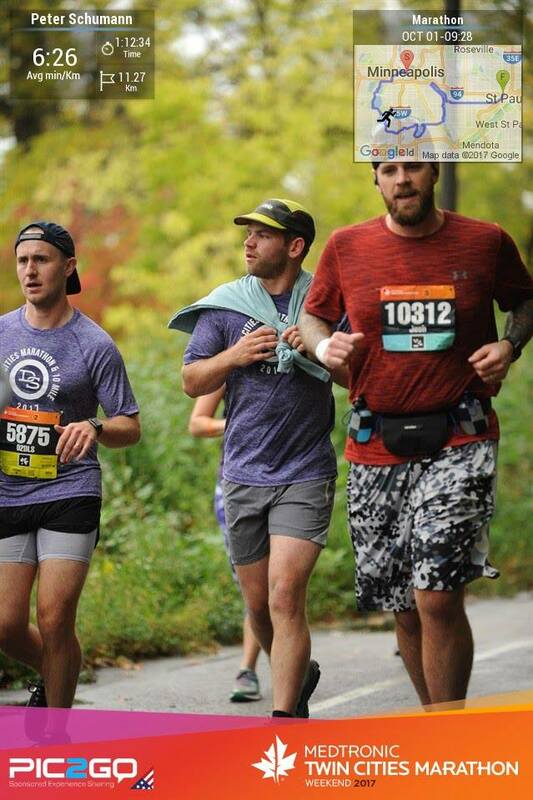 Aaron Rosenthal - 1st Marathon! Kumar Balasubramayan - 1st Marathon! Jeremy Dobson - 3rd Marathon! Robert King - 1st Marathon! Emily Bail - 3rd Marathon! Do you have photographs from the race? Please send them to us! Sign up with your email address to receive news and updates from DSSF! We respect your privacy and rarely send emails. When we do, they are important! © Devin Smith Scholarship Foundation. All rights reserved.